Students in the Master of Business Administration (MBA) program design solutions and strategies for complex business problems and opportunities, evaluate personal management capabilities and design a plan for economic growth, and integrate critical analysis with disciplines such as management, accounting, finance, and economics. Students will synthesize ethical standards in decision-making and strategy development, create appropriate communication strategies to achieve organizational goals, and integrate a biblical framework that guides interactions within the business environment and workplace. Design solutions and strategies for complex business problems and opportunities. Evaluate personal management capabilities and design a plan for continual growth. Integrate critical analysis with business administration disciplines such as management, accounting, finance, and economics to ensure mission success. Create appropriate communication strategies to achieve organization goals. 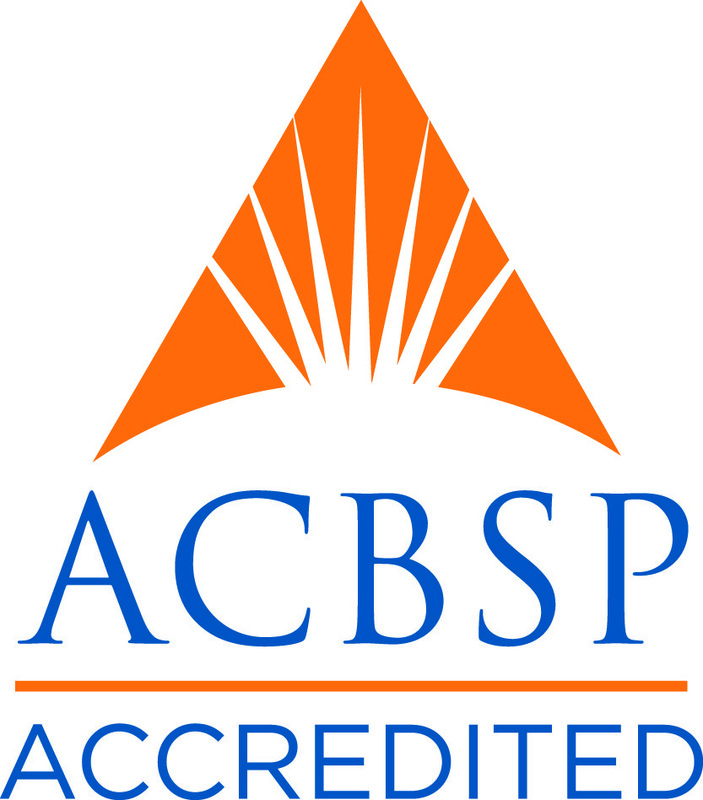 The Masters in Business Administration(MBA) program is accredited by the Accreditation Council for Business Schools and Programs (ACBSP). "I am ready for the future and our business is ready for the next generation of leadership. We also learned so much about each other, our individual strengths and problem solving skills. Now, because of this experience, we're moving forward together as a much stronger family and a much sharper company." The total cost of the program, including tuition, books, and fees, will be determined prior to your enrollment. The cost will be divided into several payments spread over the course of the program. Course textbooks will be shipped to you before each course begins. The cost of books increases for shipments outside of the 48 contiguous United States. Financial aid is not available for unclassified students. This Master's degree program will help you develop and refine your management skills within a peer group or management team context. The Master of Business Administration (MBA) program is a 42-credit-hour program. Below are the lists of requirements for the Master of Business Administration program. Click on each link to expand the requirements. If you have any questions about the admissions process, feel free to contact one of our admissions representatives at 1-866-498-4968. A baccalaureate or master's degree from a college or university accredited by a regional accrediting body or by the Association for Biblical Higher Education, verified on official transcripts sent by the institution directly to Indiana Wesleyan University. An undergraduate grade point average (GPA) of 2.5 or higher from the baccalaureate degree-granting institution at which a minimum of 30 credit hours was completed. If an applicant's GPA is below 2.5, the student may be admitted on a probationary basis, as established by the guidelines of the college. All credits required in the curriculum sequence with a minimum GPA of 3.0 and a minimum grade of "C" in each course. A grade of "C-" or below will require the course to be repeated. Overall GPA of at least 3.0 in all IWU graduate work. A maximum of six (6) credit hours of equivalent coursework, excluding ADM-508 and ADM-560, may be transferred from regionally accredited institutions. Credit may be allowed for courses equivalent in content, credit hours, and course title. To be considered for admission to any of the Master of Business Administration programs, complete each of the following steps. For more information, call 866-498-4968 to speak with a Program Representative. MBA/Virtual MBA: Official transcripts are required from the baccalaureate degree-granting institution and any graduate work if IWU is accepting transfer credits. Indiana Wesleyan University will accept for its permanent file only those transcripts sent directly to IWU by the registrar of the attended institution(s). Official transcripts must exhibit the official seal and signature of the registrar. Transcripts that are stamped “student copy,” “issued to student,” or “unofficial” cannot be accepted as official. Graduate Certificates: Official transcripts are required from the baccalaureate or master degree-granting Institution. Indiana Wesleyan University will accept for its permanent file only those transcripts sent in a sealed envelope directly to IWU by the registrar of the attended institution(s). Official transcripts must exhibit the official seal and signature of the registrar. Transcripts that are stamped “student copy,” “issued to student,” or “unofficial” cannot be accepted as official. College Transcripts from Non-U.S. Schools: For college transcripts from non-U.S. schools, secure a “Course-by-Course Report” from Educational Credential Evaluators (see www.ece.org). Be sure to request that the report be sent directly to Indiana Wesleyan University. The evaluation must list course-by-course hours and grades. Below are the program locations, upcoming dates, and meeting times for the MBA program. This list is updated regularly as new classes are added.